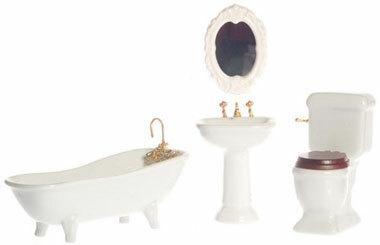 White modern bath set includes porcelain bathtub, commode and sink. Four piece floral themed set includes a tub, sink, commode, and a mirror. Three piece bath set includes a tub, sink and commode. Ivy theme design.